“California lawmakers on Tuesday passed a landmark bill that would overhaul the state’s cash-bail system, replacing it with one that grants judges greater power to decide who should remain incarcerated ahead of trial,” writes Jazmine Ulloa in the Los Angeles Times. For its part, the ACLU fears the new risk evaluation system will simply reproduce in new ways the structural racism endemic to the state’s criminal justice system. Other bail abolition advocates now opposing the bill include the NAACP and the PICO community organizing network, San Francisco public defender Jeff Adachi, and University of California, Berkeley law professor Erwin Chemerinsky. Following “three strikes,” the number of prisoners in California increased from what the US Department of Justice estimates was 125,605 in 1994 to 175,512 by 2006. According to the state, as of 2017, the cost to the taxpayer per prisoner is $75,560. In other words, by 2006, just the increase in prisoners was costing the state a little over $3.75 billion a year (in today’s dollars). For activists, much of the past decade has involved walking back the effects of this law. By 2016, the number of prisoners in California had fallen back close to where it was in 1994—at 130,340 people. The Sacramento Bee, in an editorial, makes perhaps the strongest case in favor of the legislation. “The median bail amount in California is $50,000, five times the national average. 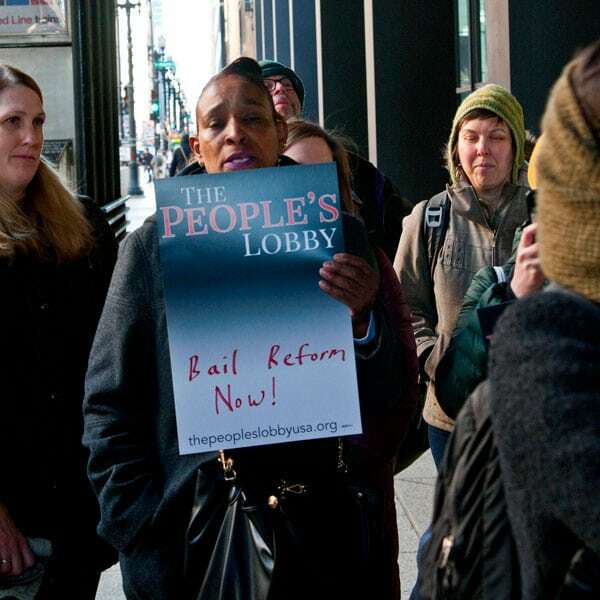 People’s lives will continue to be ruined, as they languish in jail for weeks, months and even years at a time, even though they have only been charged, not convicted.” The Bee adds that, despite the legislation’s failings, one clear benefit is that the “for-profit bail industry will die, eliminating a powerful, deep-pocketed lobbying force at the state Capitol.” In theory then, the bill, by eliminating a reform opponent, makes further progress possible down the road.